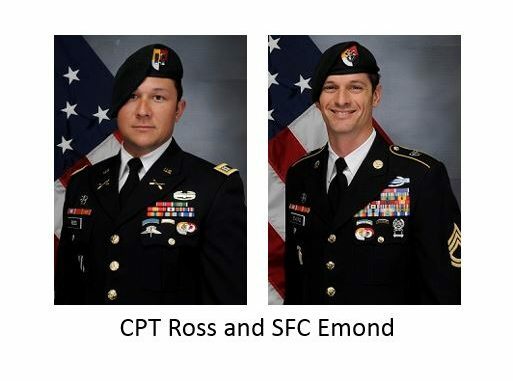 Two members of 1st Battalion, 3rd Special Forces Group based at Fort Bragg, North Carolina died from an improvised explosive device (IED) blast while traveling along a road in Ghanzi province, Afghanistan on Tuesday, November 27, 2018. An Air Force Staff Sergeant, SSgt Elchin, from the 26th Special Tactics Squadron also died in the roadside bombing. Three other U.S. service members and a U.S. contractor were wounded. The wounded service members and contractor were evacuated and received medical care. Ross, a native of Lexington, Virginia, had more than seven years of service in the Army. This was his second overseas tour. His awards and decorations include the Bronze Star Medal (2nd award), Purple Heart, Meritorious Service Medal, Army Commendation Medal, Afghanistan Campaign Medal, NATO Medal, Overseas Service Ribbon, National Defense Service Medal, Special Forces Tab, Ranger Tab, Combat Action Badge, Combat Infantry Badge, and Military Free Fall Parachutist Badge. Ross was posthumously awarded the Bronze Star Medal, Purple Heart, Meritorious Service Medal and the Combat Infantry Badge. He is survived by his wife and parents. Emond, a native of Boston, Massachusetts, had more than 21 years of military service, having served in the Marine Corps and the Army. This was his seventh overseas tour. His awards and decorations include the Bronze Star Medal (3rd award), Purple Heart (2nd award), Meritorious Service Medal, Joint Service Commendation Medal, Joint Service Achievement Medal, NATO Achievement Medal (2nd award), Afghanistan Campaign Medal (4th award), NATO Medal, Army Good Conduct Medal, Marine Corps Good Conduct Medal, Overseas Service Ribbon (2nd award), National Defense Service Medal, Special Forces Tab, Ranger Tab, Combat Infantry Badge, and Combat Action Badge. Emond was posthumously awarded the Bronze Star Medal, Purple Heart and Meritorious Service Medal. He is survived by his wife and three children. This incident is the deadliest day for U.S. forces in Afghanistan in 2018. The event occurred when a convoy of U.S. forces were sent to battle the Taliban in Andar district. The convoy was traveling along Highway 1 in an RG-33 vehicle. The Taliban have claimed credit for the IED attack. Ghazni province has been the scene of a lot of fighting over the past several months. 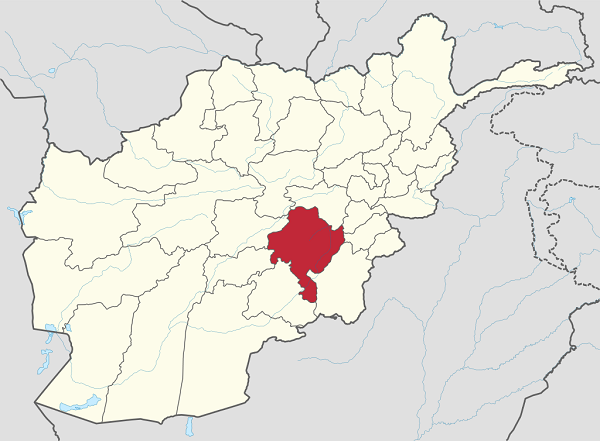 Security in Ghazni province has deteriorated over the past year and U.S. forces have had to intervene numerous times. 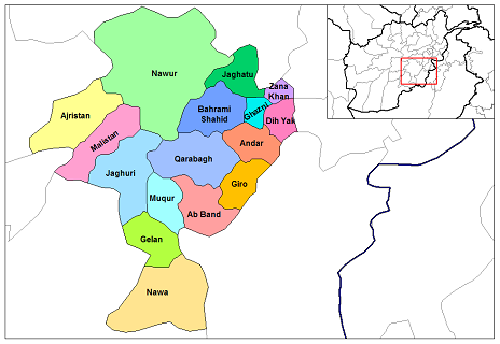 Of the 19 districts in Ghazni – 12 are controlled by the Taliban and six more are contested. The situation is so bad in the province that it was the only province of 34 provinces not able to participate in the November 2018 parliamentary elections. In August 2018 the Taliban overran parts of the city. Ghazni city was under siege for five days last summer. U.S. forces (aviation and ground) were instrumental in clearing the city of Taliban. Three Special Forces detachments with their Afghan partners – Afghan Commandos – were sent to the city to assist in clearing operations. MQ-9 Reapers ad A-10 Warthogs also played a bid role in clearing Taliban from Ghazni city. As of November 27th there have been 13 fatalities and over 100 wounded U.S. service members in 2018. Currently the U.S. has about 15,000 troops in Afghanistan. NATO countries and partner nations also contribute troops as well. “Taliban kills 3 US soldiers in Ghazni roadside bombing”, Long War Journal, November 27, 2018. “At Arlington, another hero is laid to rest”, Cape Cod Times, January 22, 2019. “Eric Emond served his country and Gold Star families. Now his is a Gold Star family”, The Boston Globe, November 29, 2018. “SSgt Elchin – Special Tactics Airman KIA in Afghanistan”, SOF News, November 28, 2018. “DoD Identifies Three Operation Freedom’s Sentinel Casualties”, DoD, November 28, 2018. “U.S. Service Members Killed in Afghanistan”, Resolute Support Afghanistan, November 27, 2018. “Three US troops killed by roadside bomb in Afghanistan”, Stars and Stripes, November 27, 2018. “Three US troops killed, three others wounded in IED blast in Afghanistan”, Military Times, November 27, 2018. Photos: The information on the Soldiers and the Soldiers photos provided by LTC Loren Bymer, U.S. Army Special Operations Command Spokesman. Article Updated: The information in this article has been updated periodically as more details are available.